Recently there was a requirement to change the Dynamics 365 App for Outlook screen. 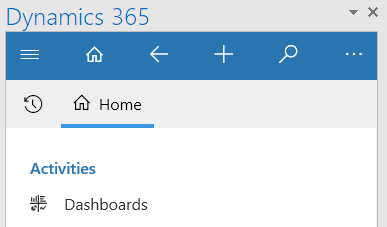 Basically when you set up the default App for Outlook, the Sitemap contains just the Activities and the Dashboards. However the customer wanted to show the Accounts and some other custom entities there as well in the menu. So how do we include it?